New battle system details and more planned. 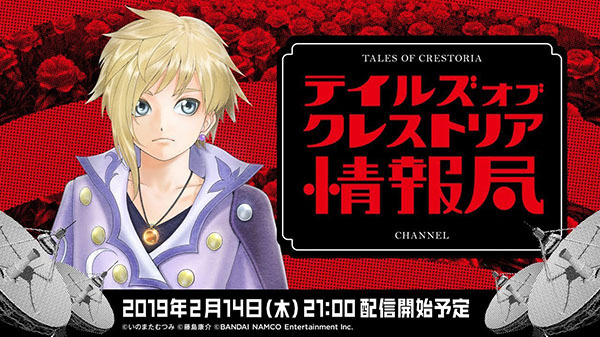 Bandai Namco will host its second “Tales of Crestoria News Channel” live stream on February 14 at 21:00 JST, the company announced. You will be able to watch it on YouTube and Periscope. The live stream will feature a the first look at the 3DS model of Aegis, Yuna, and Orwin, who are part of the main cast of characters; additional information on the battle system; and a live mini-skit by Kanata voice actor Kouhei Amasaki and Yuna voice actor Ayane Sakura.